My dream finally took shape yesterday when I had water running through the new aquaponics system. I have wanted to do this project for about 2 years now so to see it coming together was awesome. 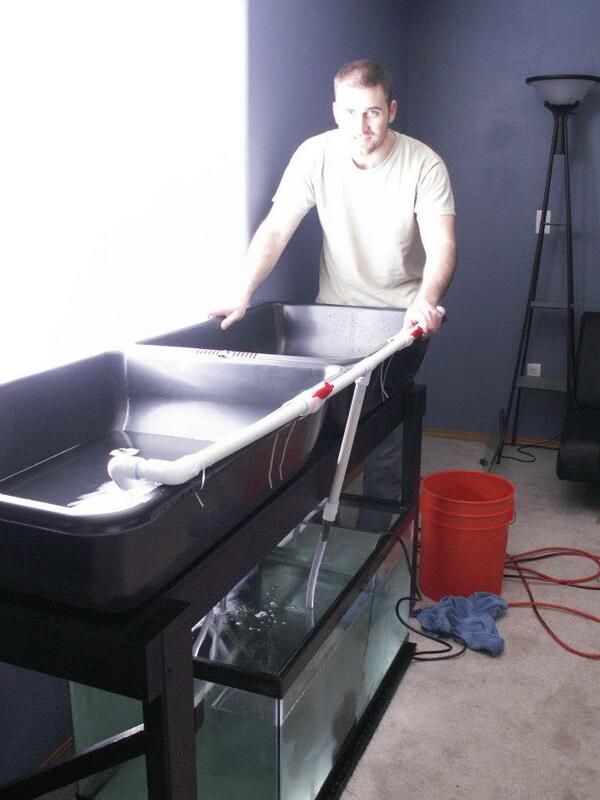 Aquaponics is a closed loop system that grows fish and plants simultaneously. The fish waste water is pumped upward into grow beds where plants and bacteria filter the water and use the waste for nutrients. 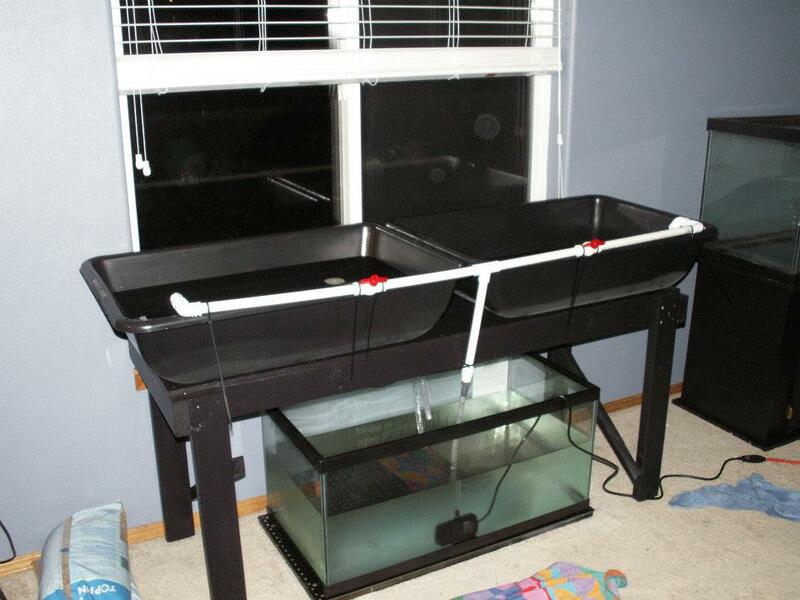 The water then uses an automatic siphon system to drain clean water back into the fish tank. 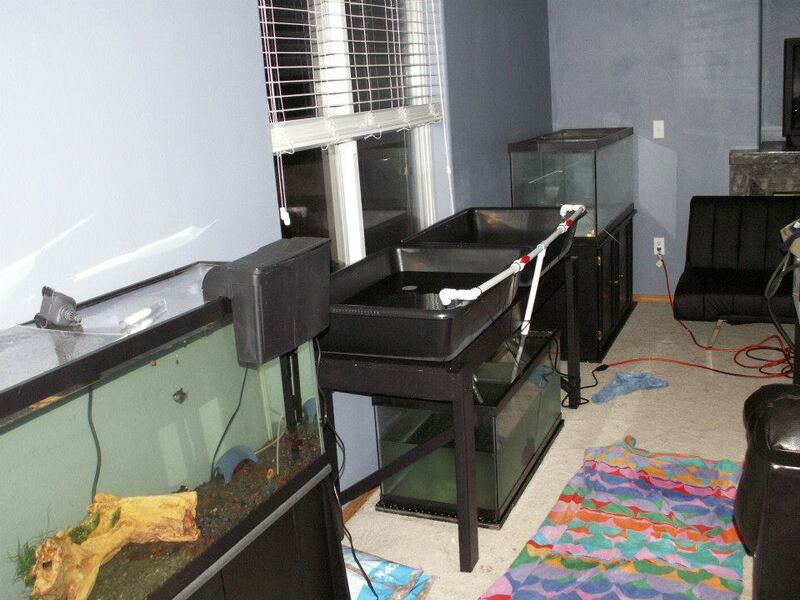 (I’ll post a video with more details showing how it works down the road) This is known as a flood and drain system.